Does Verizon Really Pay the Typical Worker 60% More Than AT&T? 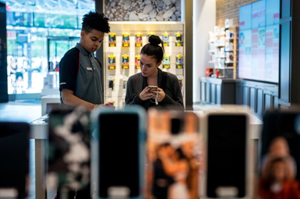 To many consumers, Verizon Communications Inc. and AT&T Inc. look a lot alike: two telecom giants with national footprints that sell mobile phone, internet, landline telephone and even television service. To their rank-and-file workers, however, the two firms are a world apart. At least that is what it looks like from newly disclosed pay figures, which show Verizon paid its median employee nearly $127,000 last year while AT&T’s median worker made about $78,000. Does Verizon really pay rank-and-file employees about 60% more than its closest rival? The gap illustrates fundamental differences in the way the rivals operate that filter down to how workers are paid. But it also highlights some of the limitations of a new requirement from the Securities and Exchange Commission that U.S. publicly traded companies disclose what they pay their median workers. AT&T is based in Texas, where salaries for similar jobs tend to be lower than they are in the Northeast, where Verizon is based. In addition, both firms grew out of Ma Bell’s breakup in 1984, but since have focused to different degrees on parts of the phone business that require different types of workers. What is now AT&T started life as Southwestern Bell and expanded in part by acquiring other landline operators. By contrast, Verizon—heir to Northeastern “Baby Bells” as Bell Atlantic—focused more on expanding wireless service, and in recent years has shed some wireline assets. 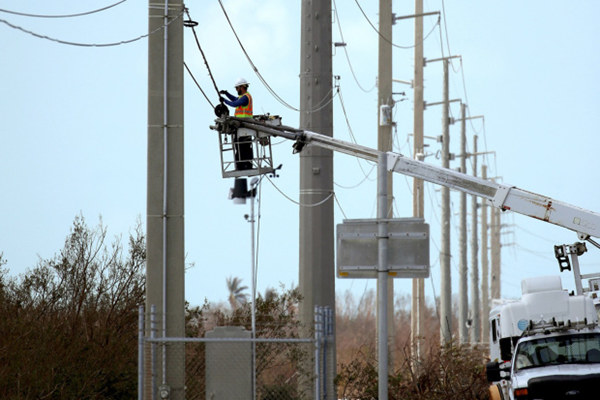 That leaves AT&T with more so-called pole climbers—the installation, repair and maintenance workers that make up much of the telecom industry—as well as more regional office staff, says Jeffrey Moore, a telecom-industry analyst and principal of Wave7 Research. While both firms have thousands of retail stores, many are so-called dealer stores, owned and staffed by other firms. AT&T owns more of its own stores: just under 40%, compared with just over 20% at Verizon, by Mr. Moore’s figures. Retail workers tend to have lower pay. Another factor is outsourcing. Low-wage jobs are typically the first to be farmed out to contractors. Despite similar geographic footprints, Verizon has a significantly smaller workforce: about 155,000 employees to AT&T’s roughly 250,000 last year. That leaves the mechanics of the median-pay figure itself. First, a technical point: Companies aren’t exactly disclosing a median pay figure, which is the point at which half their workers make more, and half less. Rather, they are disclosing the total pay of a specific individual identified as their median worker. SEC disclosure rules are firm about how companies calculate the total pay figure. It has to match the method set in regulations years ago for calculating CEO pay. But firms have much more leeway in identifying that median worker. They can pick various measures of pay to line up workers from highest to lowest, before choosing the person in the middle. Some use salary and wages alone. Others include various combinations of overtime, commissions, cash bonuses, equity awards, pension and 401(k) benefits, company-paid health-insurance premiums and more. AT&T’s approach is fairly typical, using cash compensation to line workers up. It says in its proxy that the initial employee identified at the median had an unusual pension benefit. So the firm instead used a different employee with lower total pay for its calculation. Verizon, by contrast, starts with what it calls gross earnings, then adds estimates for company contributions to 401(k) and supplemental-retirement plans, as well as an estimate of the present value of any annual gains in the employee’s future pension benefits. That increases the number of assumptions that go into the calculation. Representatives for AT&T and Verizon generally declined to discuss what could account for the disparity in their median pay figures. An AT&T spokeswoman said differences in how the companies identified their median workers could have contributed. A Verizon spokesman noted that it included company-paid health care benefits in identifying its median employee. “The issue is, there’s so much flexibility in how to you calculate this,” Mr. Bloom said. —Drew FitzGerald contributed to this article.